If you have ever moved from one neighborhood to another, then you must be aware of all the work that is involved. You would have been a lucky one if you didn’t spend two or three days after the relocation complaining of backaches. And it is not just about the back pain, you also have the stress of broken glass items, some of the items missing altogether and many other things to deal with. But did you know why this happened? Perhaps the man van hire you hired did not have the required tools for shifting. This article will highlight some of the tools that anyone in the van man hire industry should have. It is not debatable that you have some items in your house that are quite heavy. Things like the bed, electronic items and others require a special tool to handle them. Without the furniture dolly, you can rest assured that either most of the heavy items will be broken or it will take unnecessarily long to shift to the new location. You have tall items such as the refrigerator that needs to be moved as well? Then your moving company must come with a hand truck. This is a vital tool for every mover. It has two wheels, and can be moved across the floor with a lot of ease. This tool is not designed to move tall objects alone, you can also use it to move stacks of boxes to the van outside. Who wants his furniture scratched during the packing, loading and offloading process? Definitely no one. A good Van man hire firm will have the furniture pads to protect your furniture against the scratches, which would have happened if they were not protected. If you have ever hired The Unbeatable Removals, then you have an idea of what I’m talking about. 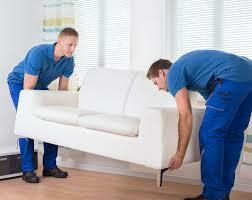 The moving company has some of the best moving tools across Australia. This is a common tool, and even if the company is the worst among all that you’ve ever come across, you must have seen them with a rope. The items you are moving are supposed to be safely secured while on top of the truck or van. This is done using the ropes. There are many items that will need to be dismantled before being packed and loaded to the truck. Before you accept the quotation, find out if they have the dismantling tools with them. A company that doesn’t have this tool will unnecessarily delay your relocation, as some of the items cannot be packed unless dismantled. It is the duty of the moving company to come with some of the essential packing materials, given that you might not be aware of all the packing materials that are necessary for the relocation to be stress-free. Among the packing materials that the company needs to have include bubbles wrap, shifting boxes, packing tape, labels, shrink wrap and many others.